Hello dearies! Today I will share to you the most exciting part in organizing your own party – DIY (Do-It-Yourself)! 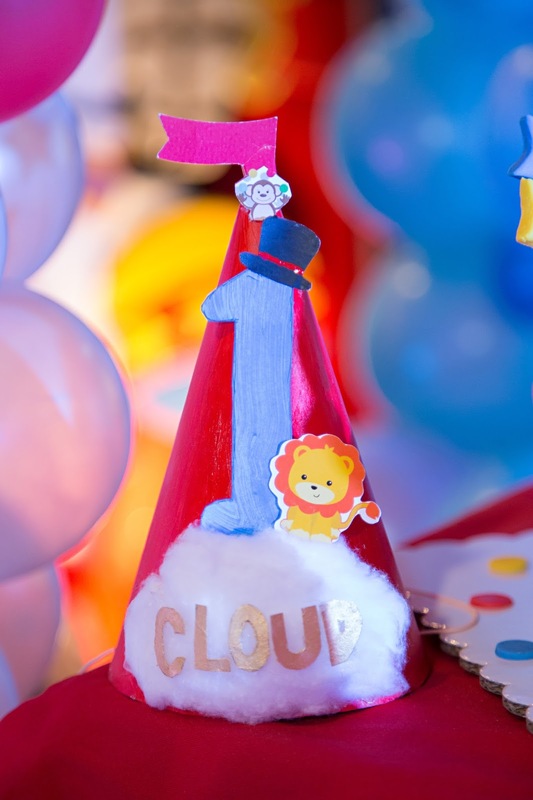 If you follow this blog, you would know that we had a Circus Themed Birthday for our son’s 1st birthday. If you are someone who loves arts and crafts, you will surely enjoy and love this part! First things first, a birthday party won’t be complete without the celebrant’s birthday party hat! Daddy E made this and he totally nailed it! So basically we just covered the letter blocks with the red textured paper and outlined each letter using the gold and royal blue ribbons alternately. I got these cute toppers online and attached on a stirrer to make sure it can stand firmly on top of the icing and viola! You can also use the stirrer as a spoon incase you don’t want to get your hands dirty while enjoying your cupcakes. Thank You tags can be found here. Toys, coloring books, and other stuff bought from Divisoria at an affordable price. Candies are from the groceries. This approximately costs 100php per loot bag. 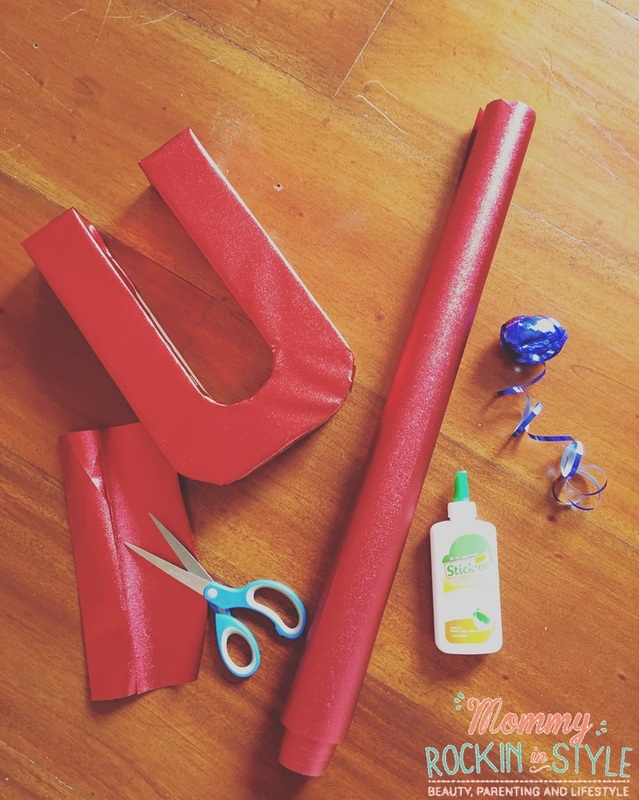 I guess that’s it for this DIY Circus Themed Birthday post! Hope you had fun reading this. Thank you for dropping by dearies! Such a great and cool design for a carnival themed event. Also all picture are photographed very well. Such great ideas! My nieces would love this theme. These are all wonderful ideas….. These are wonderful ideas. The twins' birthday is coming up. They love clowns and I might use some of your ideas. Thanks for sharing. Love your color choice and the theme consistent through out. Look like it was a fun day…And the cupcakes OMG sweet treats the highlight of the party. You have so many great party ideas. Do you do this for a living or are you just really social? What a fun party theme. A circus is always enjoyed by all. The bursts of colour and the impeccable photography makes this party a cracker! That's really impressive. I never tried to do a DIY party before, it seems like a lot of work but it's definitely worth it especially if it's for your kids. Thanks for sharing tips and tricks! Love the theme! What an adorable theme! I really love the creativity you put into it. The gift bags look so fun. These are so cool design and will save you money from buying from the party store. So cute! This looks like a great birthday party I'm sure everyone had a ton of fun! My grand son has a Birthday coming up. I just know he'd love a carnival themed Birthday party. I'll have to use your ideas to create one. What a super fun Birthday Party Theme! My son would have enjoyed it a lot when he was younger. Thanks for this wonderful idea! Perfect for my son's incoming birthday. I'm so glad you shared it. love the idea of attaching a little spoon to the cupcake toppers, will have to remember this. This is amazing. Thanks for putting this up. Now I have an idea for what to do next for my kiddos birthday party. My son's first birthday party was a big bash! Everything was homemade because we did not have a large budget! Love your ideas! Such a cute idea for a party! I love your block letters, too. You've inspired me to do this for the kids last day of school party. So cute! I love all of the colors! Definitely something that I cannot do. I am deathly afraid of clowns. I love the idea! I can't wait to have time to do another diy project at home. cleverly practical! Caffe La Tea – Coffee. Milk Tea. Food.